A FALLING FILM EVAPORATOR is an industrial device to concentrate solutions, especially with heat sensitive components. The evaporator is a special type of heat exchanger. Due to the intimate contact of the liquid with the heating surface, these evaporators are sensitive to fouling from precipitating solids; liquor velocity, typically low at liquor inlet (see above) is usually not sufficient to perform an effective self-cleaning of the tubes. 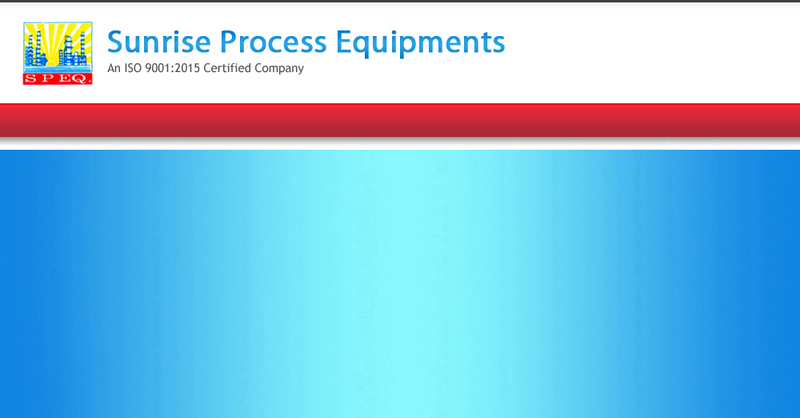 Falling film evaporators are therefore used in clean, non-precipitating liquids. A typical application, in chemical industry, is for concentration of caustic soda. 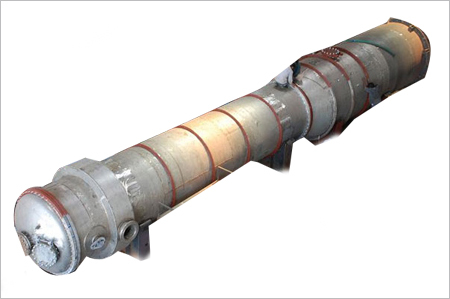 A RISING FILM or VERTICAL LONG TUBE EVAPORATOR is a type of evaporator that is essentially a vertical shell and tube heat exchanger. The liquid being evaporated is fed from the bottom into long tubes and heated with steam condensing on the outside of the tube from the shell side. This is to produces steam and vapor within the tube bringing the liquid inside to a boil. The vapor produced then presses the liquid against the walls of the tubes and causes the ascending force of this liquid. As more vapor is formed, the centre of the tube will have a higher velocity which forces the remaining liquid against the tube wall forming a thin film which moves upwards. This phenomenon of the rising film gives the evaporator its name. There is a wide range of applications for rising tube evaporators, including effluent treatment, production of polymers, food production, thermal desalination, pharmaceuticals, and solvent recovery. In terms of applications within these industries, rising tube evaporators are mainly used as reboilers for distillation columns, or as pre-concentrators or flash evaporators or pre-heaters designed to remove volatile components prior to stripping. MULTIPLE-EFFECT EVAPORATOR, as defined in chemical engineering, is an apparatus for efficiently using the heat from steam to evaporate water. In a multiple-effect evaporator, water is boiled in a sequence of vessels, each held at a lower pressure than the last. Because the boiling temperature of water decreases as pressure decreases, the vapor boiled off in one vessel can be used to heat the next, and only the first vessel (at the highest pressure) requires an external source of heat. While in theory, evaporators may be built with an arbitrarily large number of stages, evaporators with more than four stages are rarely practical except in systems where the liquor is the desired product such as in chemical recovery systems where up to seven effects are used. Material of Construction (MOC) Offered: - CS (IS 2062 Gr A/B, SA 516 Gr 60/70, BQ), SS 316, SS 304, SS 316 L, SS 304 L. SS 310, MONEL, INCONEL, TITANIUM, HASTALLOY, ETC.